The first and primary lesson of the "simple three" is the Trinity. The number "3" symbolizes Divine perfection. Three is the number associated with the Trinity, the Original Triad, or the GODhead, which is ALMIGHTY GOD in three separate offices: The FATHER, SON, AND HOLY SPIRIT. A family starts with three... a man, a woman and a child. Parenthood in the flesh is a way of experiencing the love of our FATHER for His children. For all the sons, or children, of GOD were created and not birthed in the First World Age. Spiritual bodies don't marry, nor do they have any offspring. In Heaven, we're all His children and we have one FATHER, ALMIGHTY GOD. Parenthood can only be experienced by us in the flesh life, where we can also fill two roles, one as a parent and one as a child. You're a father to your son and you're also a son to your own father. Your mutual love for one another (father, mother, child) helps in holding together a nuclear family. It forms a small triad bound by love, and GOD is Love. Jesus is the only begotten Son of GOD. He's the only one to be birthed through the matrix, or womb, by divine conception, born of a virgin. So GOD is the FATHER and a triad, with CHRIST made flesh, was still complete. 1 John 5:6 "This is He that came by water and blood, even Jesus CHRIST; not by water only, but by water and blood. 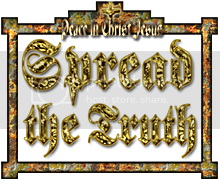 And it is the Spirit that beareth witness, because the Spirit is truth." Acts 17:28 "For in Him we live, and move, and have our being; as certain also of your own poets have said, For we are also His offspring." Acts 17:29 "Forasmuch then as we are the offspring of GOD, we ought not to think that the GODhead is like unto gold, or silver, or stone, graven by art and man's device." Numbers 6:24 "The LORD bless thee, and keep thee:"
Numbers 6:25 "The LORD make His face shine upon thee, and be gracious unto thee:"
Numbers 6:27 "And they shall put My name upon the children of Israel; and I will bless them." The LORD appears three times and the blessings are two-fold, with each tying to an office of the Trinity. GOD is the source of all creation and of all blessing (love). 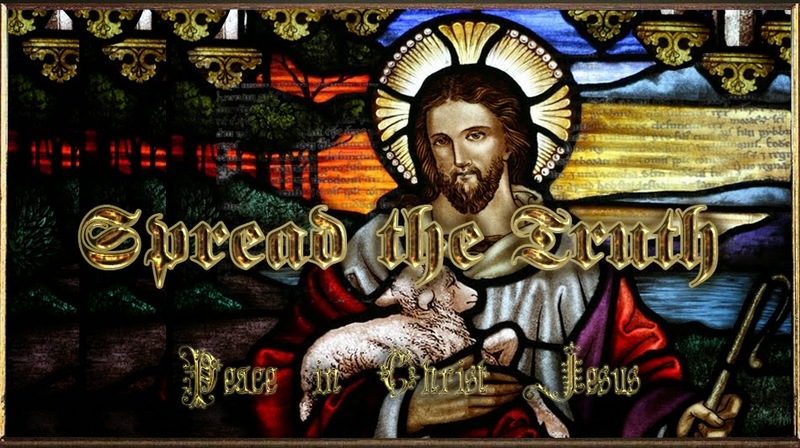 Christ is the door of the sheep; He's the bridge, or channel, to all blessing. The Holy Spirit is peace and the witness of all blessing. Isaiah 6:3 "And one cried unto another, and said, Holy, Holy, Holy, is the LORD of hosts: the whole earth is full of His glory." GOD is Holy and it's proclaimed three times by the seraphims, in the Book of Isaiah, to signify the Triune GODhead. For there are three persons in one GOD. The FATHER is the Creator and He that generates; the Son is the Savior and He who is begotten; and the Holy Spirit is He who moves and proceeds. GOD is omnipotent, omniscient and omnipresent (The Three "O"s). Deuteronomy 32:39 "See now that I, even I, am He, and there is no god with Me: I kill, and I make alive; I wound, and I heal: neither is there any that can deliver out of My hand." Deuteronomy 32:40 "For I lift up My hand to heaven, and say, I live for ever." There is no oath greater than ALMIGHTY GOD taking an oath by His own name. It is the greatest oath there is. I AM THAT I AM, the LORD GOD of your fathers, is the GOD of Abraham, the GOD of Isaac and the GOD of Jacob. "I AM THAT I AM" in Hebrew is "'ehyeh asher 'ehyeh" or "I will be what I will be". I AM makes alive; I AM heals and saves; I AM delivers. The Three Persons, of the Triune GODhead, appear to Abraham. Genesis 18:1 "And the LORD appeared unto him [Abraham] in the plains of Mamre: and he sat in the tent door in the heat of the day;"
Genesis 18:2 "And he lift up his eyes and looked, and, lo, three men stood by him: and when he saw them, he ran to meet them from the tent door, and bowed himself toward the ground,"
Genesis 18:3 "And said, My Lord, if now I have found favour in Thy sight, pass not away, I pray Thee, from Thy servant:"
In Genesis 18, it states in verse 1 that the LORD appeared unto Abraham in Mamre. But in verse 2, Abraham lifted up his eyes and saw three men standing by him. He ran to greet at the door, because in the Hebrew, the word "them" is not written. In verse 3, Abraham says, "My Lord, if now I have found favour in Thy sight..." When we reach the last verse of the chapter, it states that "the LORD went His way". Genesis 18:33 "And the LORD went His way, as soon as He had left communing with Abraham: and Abraham returned unto his place."